The GPNVG-18 was inspired from the movie Zero Dark Thirty. The GPNVG-18 from Lancer Tactical, now available at Airsoft GI, is a great addition to your Navy Seal load out. 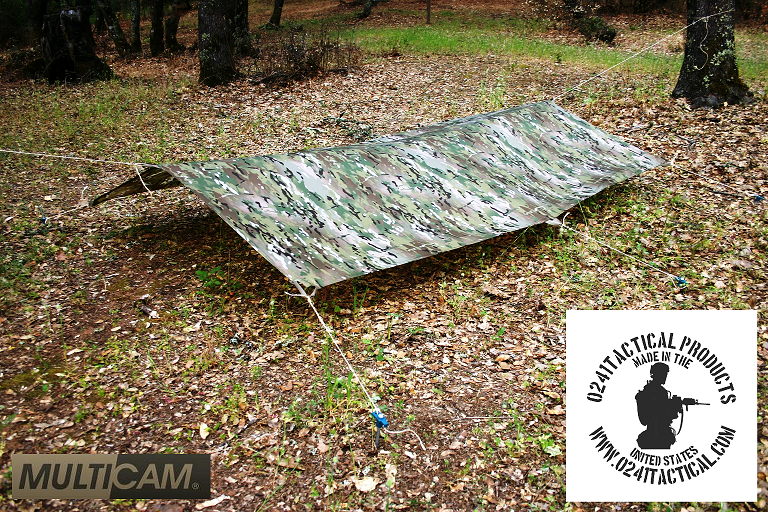 Use the coupon code ‘g4airsoft’ to save 20% on your next order! Dear Friends! On June 1st give your inner child a treat! Type "Children’s Day 2013" into the order notes and you will get a DISCOUNT CODE worth 10€ for your next purchase! The discount may be used from June 8th until July 7th with any order worth at least 60€. The June 2013 issue of Military1st.co.uk Newsletter is out this Saturday morning. 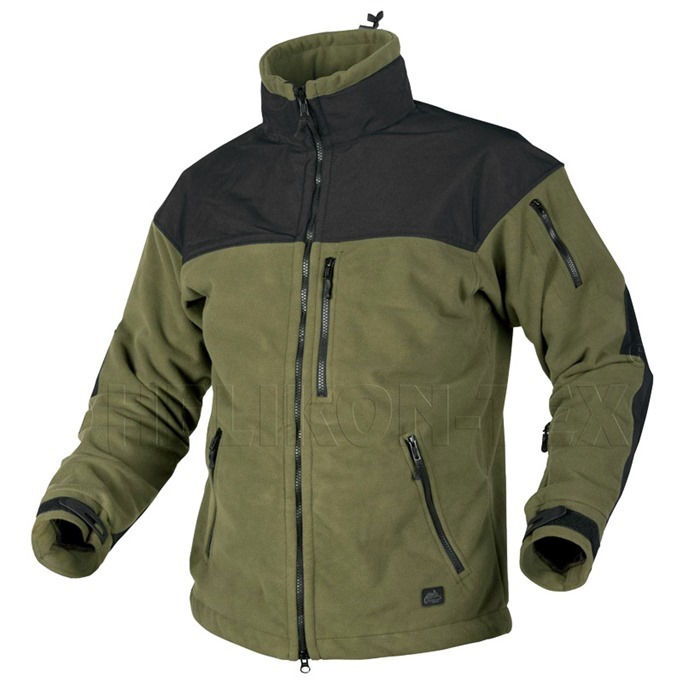 This time we prepared something really special for all fans of the big outdoors. Are you hiking, trekking or backpacking fan? Don’t miss out: sign up now at Military1st.co.uk website or Military1st.co.uk Facebook page. 5.11 watch cap review at A.C.E. You can use a balaclava, but if you prefer to have your nose and mouth uncovered to breathe easier (especially if your airways are obstructed), or you want to avoid fogging to hit your eyewear then this is perhaps the best solution for you. Airsoft GI – Tim VS Bob Shoot Out & G&G Hangs Out! Tim vs Bob in a shoot out at our new targeting system at the Walnut walk in store. 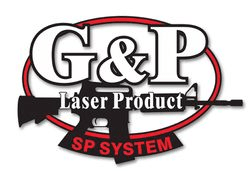 G&G comes back to show off some new products and takes a turn at our shooting range. Bob and Tim get down on some springer action as well! Lancer Tactical has made a name for themselves by providing low cost alternatives to traditionally very expensive airsoft products. They have an entire line up of helmets that are affordable ans suit airsofter’s needs perfectly. Take a look at the entire line up of Lancer Tactical Helmet offerings. After a lower reciever swap a rail swap and Stock Exchange she’s finally where I want it. All New Blackwater BW 1911 R2 Co2 full metal Available right now! The APS Urban Assault Rifle (UAR) is one of the most ergonomically designed AEGs on the market. Tazz and Tim take a detail look at the unique new Airsoft Gun and what makes it quite so brilliant. This is APS’s first attempt on the CO2 GBB as the Action Combat reaches the shores of the Airsoft World. It does bear a resemblance to a very popular GBB but Tim gets into the features of the Action Combat and it’s functionality. When you shop with AirsoftGI’s gift system, you get great products for free in addition to your purchases. The more money you spend with us, the better free stuff we give to you. Different categories mean that you can have your choice of masks, batteries, tactical accessories, and other very cool stuff. Look for the red label designating which items qualify. Be sure to check it out today! From ASG is their new LMT MRP Defender AEG airsoft rifle. However, this platform is unique because the upper receiver and RIS are made out of one solid piece of metal, making the upper rail uninterrupted and much stronger. Internally, this gun preforms well with a G&P gearbox, and low resistance wires. Additionally, out of the box, it comes with 3 rail covers, a handgrip, iron sights, and a 160 round magazine. This gun is not to be missed. Be sure to get them before they are gone on our website below. Check out this in battle review of the XF M97 tactical flashlight. Tac City Airsoft with two locations and over 50,000 sq ft, fully stocked pro shops, rental gear, tech services, private parties and the most experienced staff anywhere….why would you go anywhere else? Tac City Fullerton has a fully stocked pro shop, rental gear,tech services and the most experienced staff around. Nearly 40% off discount for King Arms 200 rounds high capacity BB loader. This CM.125 is a replica of HK USP Pistol. The USP marked the first time Heckler & Koch chose to incorporate many traditional handgun design elements, such as those of John Browning’s M1911, in one pistol. Two principles guided its development—the first being the use of a molded polymer frame, and the second being the creation of a "pistol paradigm". Heckler & Koch observed the strong points of its previous successful pistols for insight in developing the USP. SA58 is an US made 7.62 rifle by DSA, which manufactures parts of the Original FAL Rifle and entire FAL Rifle in Semi-auto only for civilian and law enforcement (US market is hard to import entire FAL rifle from overseas because of the US Law). SA58 OSW AEG comes with a shortern carbine front set with rail hand guard and a para folding stock which can make its length shorter. 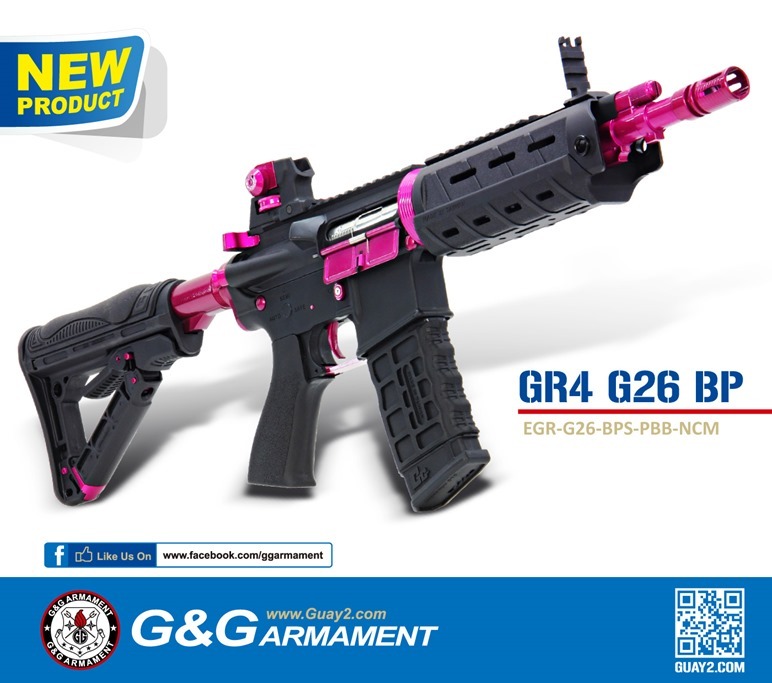 G&G GR4 G26 BP available now! It’s hard to take your eyes off G&G GR4 G26 BP! Pink Ladder Rail Panel set available! One more option! 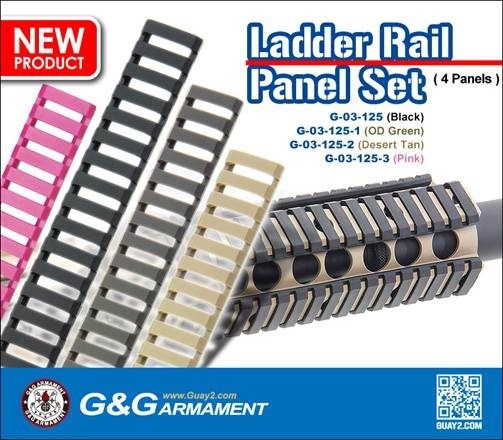 Pink Ladder Rail Panel set is available now! 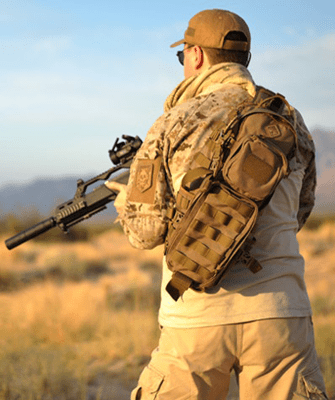 New release – GR4 CQB-S MINI ! 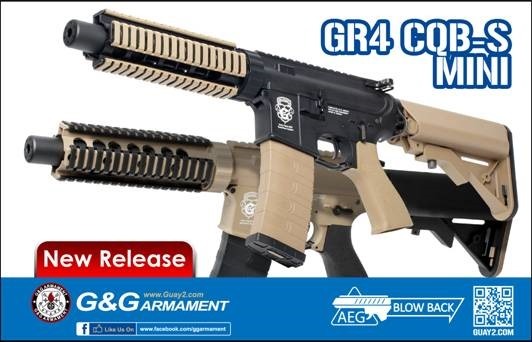 G&G is glad to release GR4 CQB-S MINI! 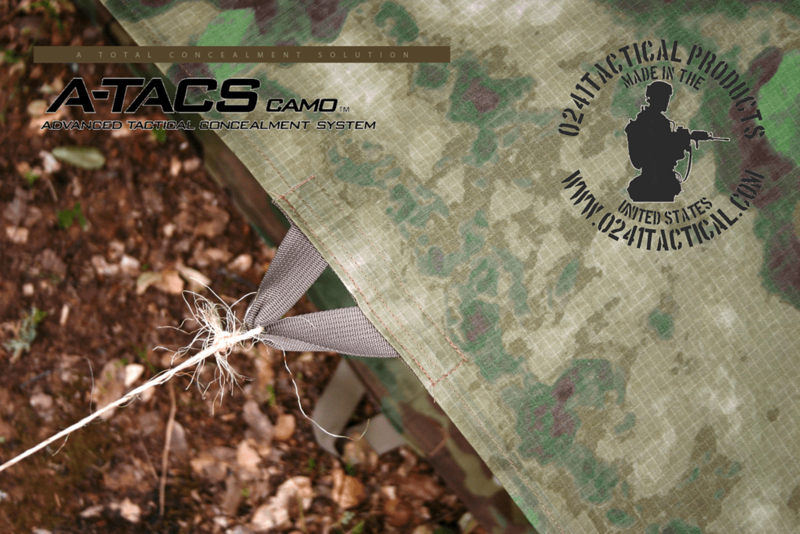 A-TACS FG & Multicam Tarp / Basha Shelters are made from a water repellant product nylon material that is breathable and is face treated with a durable water repellent finish. 100% USA Made material. Basha (referred to in the forces), British idiom for a shelter or a field-expedient improvised shelter. 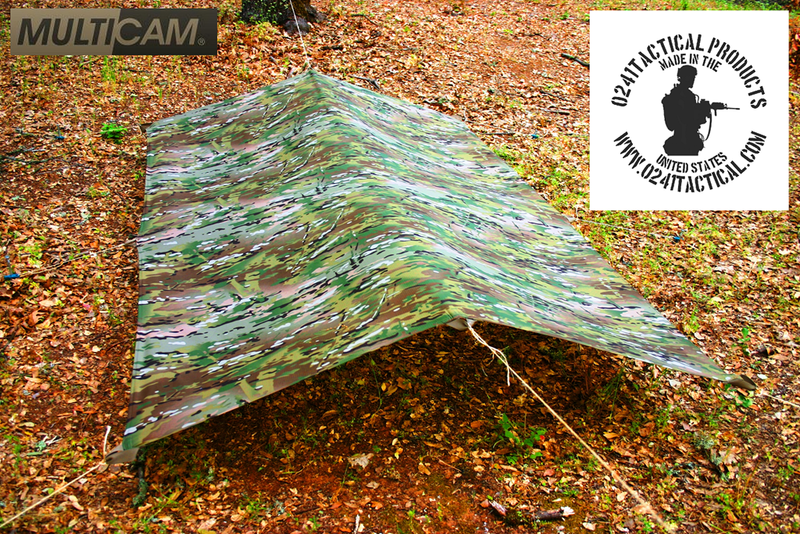 The Basha is normally built using poles, rope, and a poncho, but any tarp or natural cover will suffice. Basha is the same as the American pup tent, a Lean To, or the old shebang Shelter. 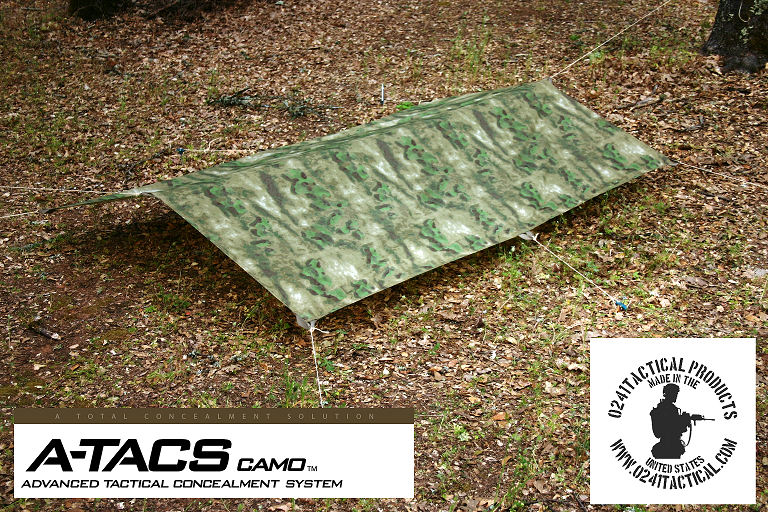 Our A-TACS FG Tarp / Basha Shelter are 59" X 90" inches with eight (8) tie down points made from 1" webbing. 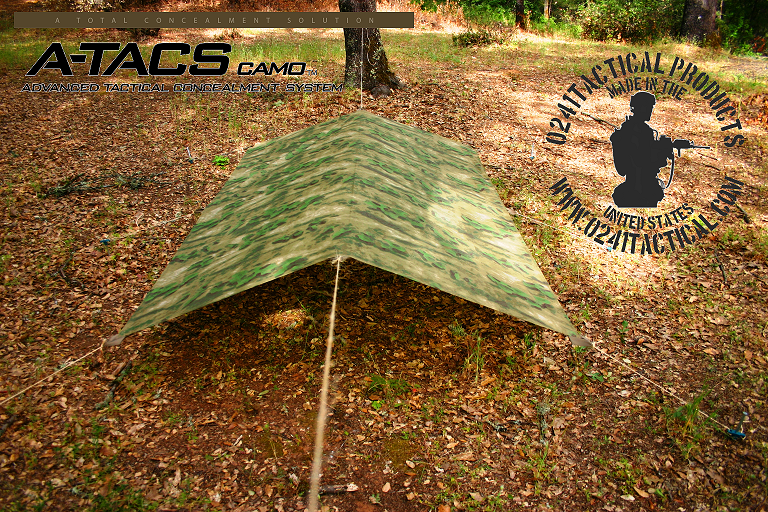 Our A-TACS FG Tarp / Basha Shelters are made to order meaning we will build your order once it is received. We typically will have raw material available for immediate production but if we do not, we will order more raw materials and it will be no more than 10 days before your order is shipped. In any case we will email you keeping you informed on the status of your order. Airsoft Extreme – G&G and Action Army items! NOW IN STOCK! Shoot with style with the G&G Femme Fatale series! NOW IN STOCK! Designed to upgrade your KJW M700 Gas Airsoft Sniper and Tanaka M700 Gas Airsoft Sniper to another level! NOW IN STOCK! Both compatible for the G&G GK16 and the PTS AAC Flash Hiders. NOW IN STOCK! Action Army Goods! WE XDM SC RAFFLE WINNER!! CONGRATULATIONS to FRANCISCO OVIEDO for winning the WE XDM In-Store Raffle during Santa Clara AEX grand opening!!! Subscribe to our YoutTube Channel and check out our latest Skirmish Reports on the XF M97 Tactical LED Light, Tech Tips and more! We will be having a live show today ( 05.30.2013 ) @ 4:30PM PST. The Airsoft GI Live Show will be hosting it at the Walk-In store! For those of you that are local, be sure to stop on by! New Airsoft GI Custom Guns have arrived on our website! Featured on these custom guns are the new Madbull Noveske NSR Rails. Be sure to visit our new products page to check out these airsoft guns as well as other new products on our website. 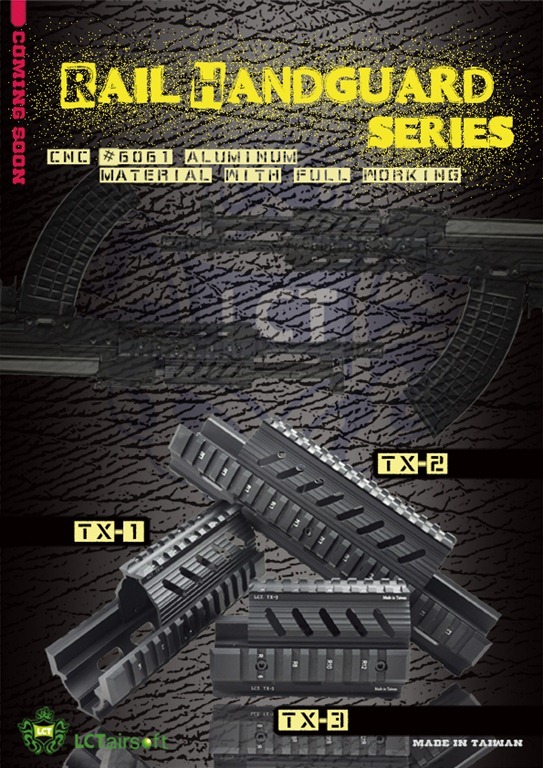 Dear Customers, Shoei MG42 Gas Blow Back(New Version), RA Tech CNC Steel TT33 Metal Slide For KSC/KWA TT-33 and other new accessories are released.All airsoft lovers, please go to our website to check our latest product. 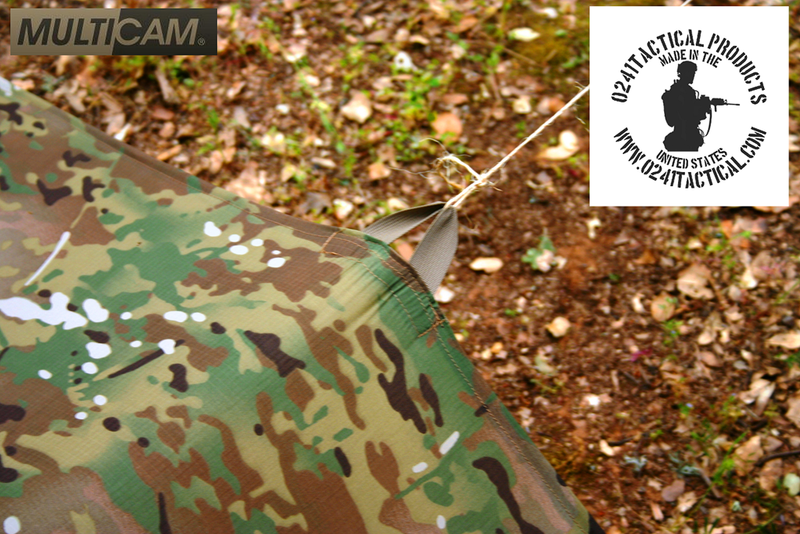 Dear all, Thank you very much for supporting CAA Airsoft Division and we really appreciated it. After the great success of CAA RONI Pistol-Carbine Conversion for Glock & P226, CAA Airsoft Division proudly releases CAA RONI Pistol-Carbine Conversion for Beretta M9/M9A1! By the July of 2013, you will be able to get your hands on this beauty, the CAA RONI Pistol-Carbine Conversion for Beretta M9/M9A1. We have BK & DE Color. This conversion will fit Beretta M9/M9A1 series pistols from Tokyo Marui Beretta M9/M9A1. The CAA RONI for Beretta M9/M9A1 Conversion is ergonomic designed and equipped with ambidextrous front and rear sling mounts, and a large charging handle. Charging the weapon is easy and it is very user friendly to both left and right handed operators. It is integrated with a CNC machined Aluminum top and two side rails for mounting accessories, and a Nylon Fiber lower rail to mount any forearm grip. The RONI is equipped with an adjustable 5 positions buttstock, and features a spare magazine holder for faster reloading. The adjustable cheek rest on the buttstock is removable. The CAA RONI Pistol-Carbine Conversion for Beretta M9/M9A1 includes a pair of flip-up sights, a detachable folding forearm grip and a charging handle. Just a reminder, we are looking for distributors in all areas so if you have any suggestion, please share with us.